Heavenly Father, We pray that as each of us comes to a point in our lives where we dare to ask You to reveal Your will for us, You would put us in a place of acceptance of what You reveal to us. It may not be what we want, but it will surely be what we need in order to live a life fully invested in You. Help us to realize that anything You bring into our lives and anything You reveal to us is for our good. Give us a spirit of acceptance and a heart open to Your movement in our lives. Allow us to let Your love surround us and cast out any fear or doubts. Help us to live in love with You, accept Your will for our lives and give us the proper response to Your revelation. May we trust in the way You push us to go. Father, we are grateful for Your gracious offer to give us a new heart, one that loves You, one that is tender and responsive to Your voice and one that reflects Your love back to everyone in our life, friend and foe alike. How can we access this heart? Through faith – just the same way we received our salvation in the first place. So in faith, we take You at Your word. We receive today a new heart and a new spirit. We will walk with this new heart and care for this new spirit by our commitment to Your Word and by seeking Your face through prayer and worship. Praise You, our Lord Jesus. We receive a new heart and new life, AMEN. If we truly know God, we will love Him and delight to obey Him. In fact, disobedience to God’s commands is proof that one does not know God intimately, regardless of what that person may say. First John 2:4 says, “He that saith, I know him, and keepeth not his commandments, is a liar.” Those who refuse to forsake their sin do not truly know God, for Scripture says, “whosoever sinneth hath not seen him, neither known him” (1 John 3:6). Christ will say to those who claim to know Him, yet are living in sin, “I never knew you” (Matthew 7:23). Daniel 11:32 prophesied of a time when “the people that do know their God shall be strong, and do exploits.” One possible fulfillment of this prophecy could be the time when Antiochus Epiphanes became king over the land of Israel in 175 b.c. This wicked king desecrated the temple at Jerusalem, ordered everyone to sacrifice to false gods, and forbade them to obey the laws of the Lord. Many who did not know the Lord allied themselves with the king, willingly submitting to his decrees and adopting heathen practices. But those who knew the Lord refused to make any treaty with wickedness. They continued to circumcise their children and refused to eat unclean animals, or to sacrifice to false gods. As a result of their obedience to God many fell “by the sword, and by flame, by captivity, and by spoil, many days” (Daniel 11:33). A ninety-year-old scribe, because he refused to eat pork, was sent to the torture wheel and died under the strokes of his persecutors. Seven brothers were brutally tortured and killed by fire because they refused to eat swine’s meat. If we truly know Christ, we will joyfully submit to His commandments (John 14:15; 1 John 5:3). We will stand strong, even if we are ridiculed and scorned, even if it costs money and possessions, even if we are tortured and killed. We will do exploits, fighting for the truth, not with a sword of steel, but with the sword of the Word of God, warring against the sin that so easily besets us, earnestly contending for the truth, and striving to rescue others from sin. Those who know their God will do these things. 1. Who became jealous after the crowd was singing and rejoicing in David’s name? 3. Who helped David get away and escape Saul’s plot to kill im? 1). 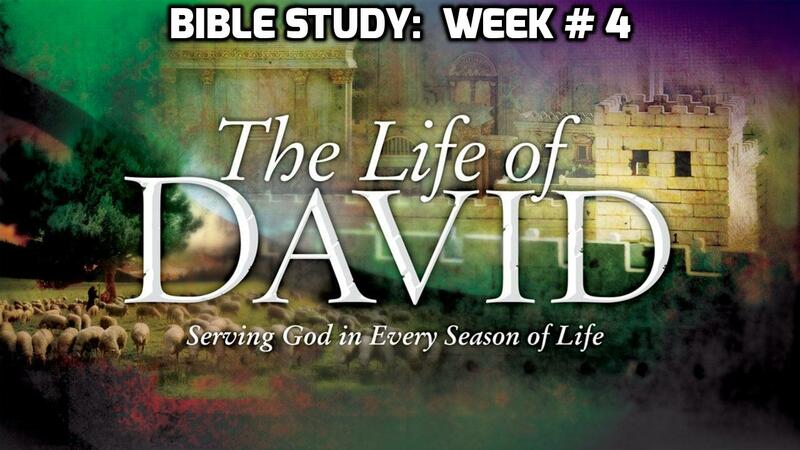 Name one thing David did in obedience to God. 2). According to John 2:4, who is a liar? 3). Name same biblical characters who was strong and did exploits. 4). What do the word exploits means? 5). Who triumphantly defeated their enemies? 6). Obedient is better than what? 7). Name something you know you have been obedient to God. 8). What do obedience say about our hearts? 9). Is praying been obedient to God? 10). Is reading the Word obedient to God? 11). Is loving your neighbor obedient to God? 12). Is obeying the law of the land obedient to God? Self-Examination Time: What can you do today to stay The Course?